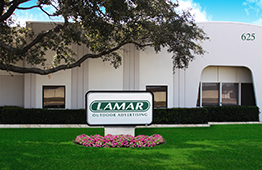 We are proud to serve the advertising needs of the Dallas and Fort Worth areas. With our extensive inventory of Bulletins, Digital Billboards, Airport Advertising Displays and the best team in the business, we will help you craft a campaign and successfully reach your target audience. Our locations are almost exclusively located on high-traffic Interstates and Highways in the Dallas-Fort Worth Metroplex. With coverage in Collin, Dallas, Denton, Tarrant and the 12 surrounding counties, we can offer far-reaching exposure as well as help you target specific areas and demographics. As the home of over 400 corporate headquarters, major sports teams, museums, amusement parks and entertainment venues, Dallas is a leader in big business and is one of the top travel destinations in the U.S. Lamar of Dallas offers prime billboard locations, as well as displays in Dallas Love Field Airport, making it easy to reach visitors and residents alike. With so many opportunities to showcase your message, the Dallas and Fort Worth areas provide a fantastic backdrop to introduce new products and services, initiate a call-to-action or highlight the success of a well established brand.